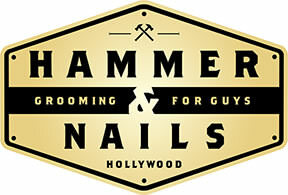 : Cost of Hammer & Nails Grooming Shop for Guys Franchise? How Much Does It Cost to Own a Hammer & Nails Grooming Shop for Guys' Franchise? Owning a Hammer & Nails Grooming Shop for Guys beauty-related franchise can be a lucrative business, but it does have some initial financial requirements. To open a single hair care location, the company requires that potential franchisees have liquid assets of at least $100,000. The franchisee startup costs associated with owning a Hammer & Nails Grooming Shop for Guys beauty-related franchise are similar to those of Pro-CutsManCave for MenGreat Clips. Hammer & Nails Grooming Shop for Guys falls under the 'health & fitness', 'high capital' and 'retail' franchise categories. Across these multiple categories, it is further subcategorized under 'hair care & beauty salon'. See how the investment level of Hammer & Nails Grooming Shop for Guys' compares to those of other available retail related franchises. A First-to-Market Franchise Opportunity in the $21 Billion Men's Grooming Market! Be part of the new national men's grooming brand that's so promising that franchise legend John Leonesio has come on board to help develop the business! Men's grooming is now a $21 billion a year market, and a growing number of traditionally female-centered grooming businesses are now refocusing their attention on men. In this rapidly expanding men's industry, Hammer & Nails Grooming Shop for Guys stands out as being truly unique we are the first grooming franchise with a core focus on hand and foot grooming for guys. As a Hammer & Nails franchise owner, you can be at the forefront of this emerging market. Hammer & Nails Grooming Shop for Guys is not currently accepting new franchise inquiries through this site. Please see our comprehensive directory for currently available franchises near you.